Do you wake up with itchy knees or elbows in the morning? Do you often wake up with red marks or patches on your body but cannot find a single insect in your bed? Well, even if you cannot see them in the morning, your bed has been infested by tiny bed bugs, which feed on your blood while you are asleep. Bed bugs are small insects, which dwell in your bed and often tend to bite you during the night. Even though these bed bugs bite multiple times in a minute, you do not feel any pain in your body. All you can see is the red marks of their bite in the morning. Bed bug infestation can be a serious concern for anyone, especially for families with infants or children. If you’re wondering how to detect bed bugs, then you can follow some simple tips for the same. Light up the room: Bed bugs can easily hide in your bed or in your sofa for it’s extremely minute in size. Therefore, to detect bed bugs in your home, you need to light up the entire area you want to search. Open all shades so that the sunlight can brighten up the room. Also, put on the lights you have in the room to detect bed bugs. Remember, killing bed bugs once does not guarantee its complete eradication from the house. It can easily come from other rooms of the house. So, start searching as soon as you notice a single symptom of infestation. Search the mattress crevice minutely: In most of the cases, bed bugs prefer to hide in the crevice of the mattress. Therefore, start searching from the crevices. Remove the mattress from the crevice and use a flashlight to detect bed bugs lined up there. 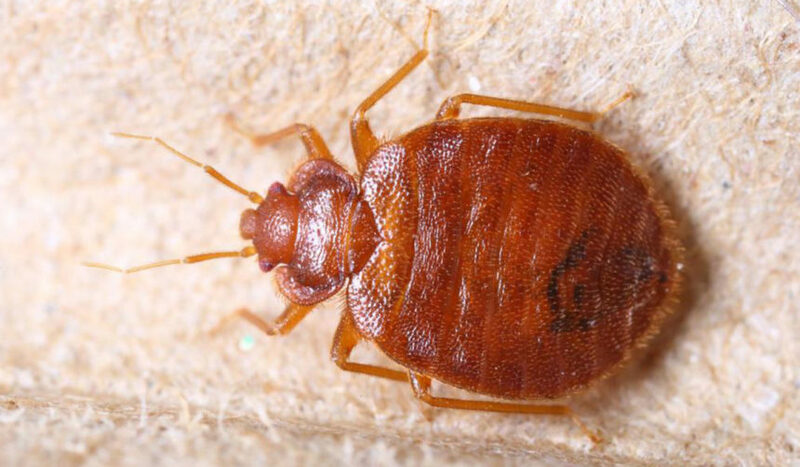 Bed bugs are nocturnal animals and removing them in the morning is not too tough. Though these insects are not responsible for any diseases, you can wear gloves and masks during the removal process. The baseboard and bed frames matter: Gaps between the mattresses are not just the single place for bed bugs hideout. In case of severe infestation, you may even be able to detect bed bugs in the bed frames or baseboard. Therefore, check every place minutely with flashlights. Look out for its feces: In case you are not quite sure about the bed bug infestation in your home, you can check out for its feces. Mattresses, which are infested by these bugs, have dark spots on them, which get smeared if wiped with a wet cloth. Dead skins or eggs: If you’re wondering how to detect bed bugs, you can do so by locating their dead skin, which is reddish. Finding dead skin of bugs can be an alarming sign as these insects leave their empty shell when they grow in size. Eggs of these bugs are also another sign of severe infestation and need prompt action. Check your bed thoroughly if you find a line of black dots in your mattress as the insect multiplies itself rapidly. In case you have cabinets with your bed, you need to check them out as well. Check your furniture: Though they are known as bed bugs and mostly thrive in mattresses, they can grow in other furniture of the house. Therefore, for a complete removal of these bugs from your house, you need to check every furniture such as sofas, chairs, cushions, photo frames, wardrobes, etc., carefully. Go for professional assistance: Getting rid of bed bugs can be a tricky task as leaving a single behind a single insect can be dangerous. Therefore, if you are tired of cleaning your mattress from these bugs, you can contact professional services which are experienced in handling these types of jobs. They will not just clean your mattress but check the entire house for infestation so that you can get peaceful sleep at night. There are many professional services operating in the US. Just check out a few in your area and appoint the best one for the job. Though some people consider improper home cleaning to be the cause of bed bugs, it is not the truth. These insects do not dwell in dirt or dust. Instead, they prefer to stay close to their host so that they can get food easily. In most of the cases, they hide in the clothes of humans and get transported to their homes. It can also enter your house with your pets if they visit any infested area. To prevent these insects, you need to allow more sunlight into the house and remove the dampness. Also, it is recommended to take action as soon as you detect bed bugs as a delay may lead to a huge outbreak, which might be quite difficult to deal with.